Appreciation is one thing that motivates you and helps enhance your performance. Job of a nursing assistant requires a lot of dedication, as their job critically deals with patient care. Right from assisting patients in daily living activities to monitoring their vital signs, nurse aides spend most of their time in dealing with the patients. Recovery of a client depends a lot, on how a nurse aide deals with him/her. In addition to this, they also require dealing with the nurses/doctors, assisting them in their work, and reporting them about the status of the client’s condition. Thus the nurse aides set the base and scope for the growth of the health care facility. Having a good reputation helps a health care facility immensely in developing and ensuring better patient care. To attain and sustain good status in the health sector, effective utilization of the workforce is extremely essential. What’s equally important is to bind them and appreciate them whenever they perform well. 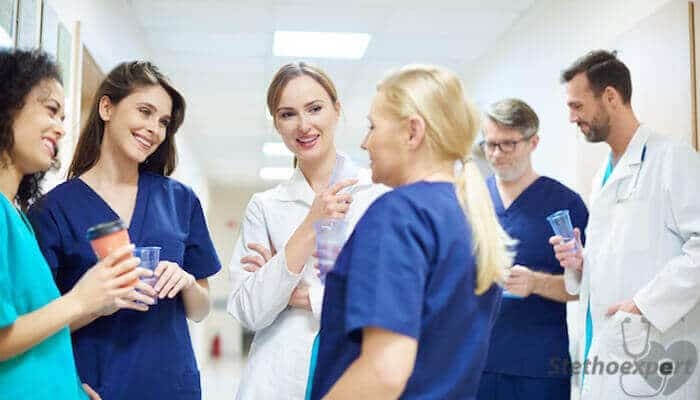 With around 80% of patient care ensured by the nursing assistants, appreciating them at the right time can do wonders for that health care facility. Management staff plays a vital role in keeping the working environment clean and healthy for the nurse aides and other subordinates. Appreciation produces a magical effect especially in case of newcomers. Initially, experienced nursing assistants (or a registered nurse) accompany a newcomer to make him/her understand the style of working in that facility. They guide and supervise his/her performance. Mostly, nurse aides leave their jobs, as they are not appreciated and they always fall under the impression that they are not performing well and cannot perform well. This in a way demoralizes them, making them less active and less efficient. Thus this affects their performance badly and finally leads to their termination. It is very sad that such cases happen, but this not only affects a nursing assistant’s career but also spoils the reputation of that health care center. It isn’t that it is difficult to be a motivating power, it all depends on how much proactive and positive you are. At the end of the day, what keep you different from others are your attitude and your approach towards life. When you supervise nursing assistants in their work, you must be friendly and teach them the process step by step. You must appreciate them when they are efficient but make sure you do not go overboard. You must clear their doubts, when raised as well as when you are sensing some confusion in them. You must praise them and provide them the liberty to do their work in their own style. You must make them aware of the contributions they have made for the welfare of the care center. It is very clear that newcomers are bound to commit mistakes in the process of learning. This does not mean you scold them or insult them. Instead, you must make them realize about the problems that may occur through those mistakes and show them the right path. You must periodically inform them about where they are going right and where they can improve. They must never feel uneasy in your company or feel it difficult to express themselves. A facility can advance towards progress only if the mentioned things are followed. Appreciation not only increases one’s morale but also develops harmony. Although, it is important for the seniors to follow these things, it is also the responsibility of a new (entry-level) nurse aide to perform the activities sincerely and for the welfare of the health care center. Thus you must appreciate your nursing assistant, as only unity amongst employees can lead the facility towards progress.